I may be slightly obsessed when it comes to baking. Have you noticed? When life gets crazy, I bake. And luckily, I’ve got plenty of inspiration for new desserts! 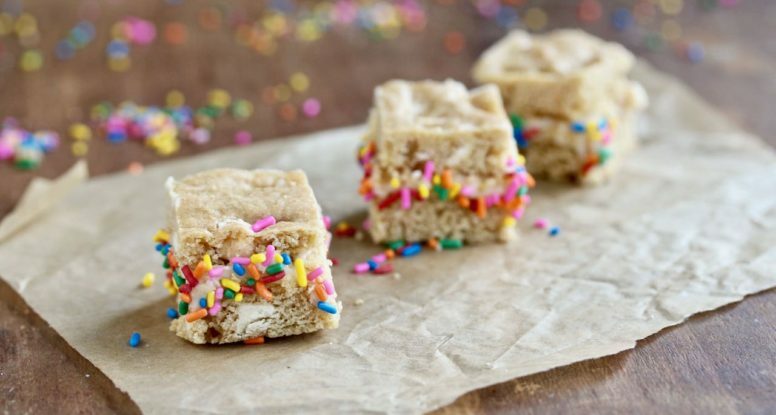 I’m pretty pumped to share my newest baking success story – White Chocolate Chip Blondie Sandwich Bites! Every year Mother’s Day rolls around and I always find myself asking, “what am I going to get my mom?” I start feeling anxious about it too. I mean, is there really any gift that encapsulates the love I feel for this amazing woman? So you see, nothing ever seems adequate. This year I started to get that anxious feeling and then, by some grace of God, I felt a wave of calm wash over me. A voice telling me to sit down and reflect. 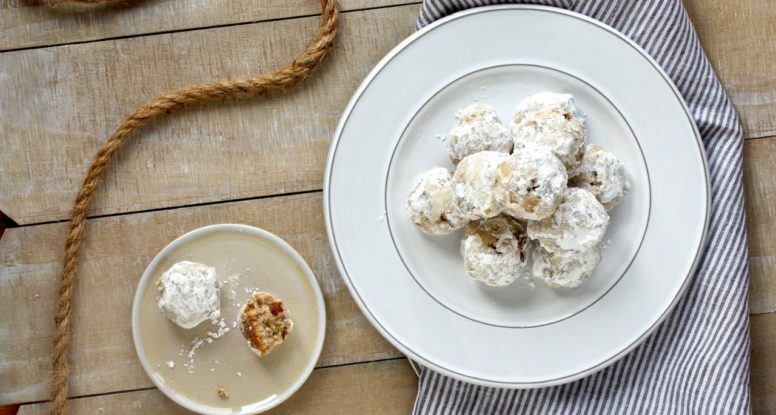 So I did…and Mexican Wedding Cookies came to mind. 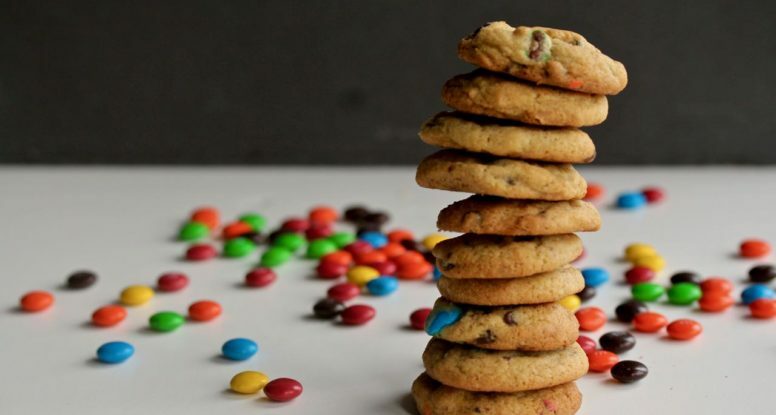 Cookies are a necessary part of life. Correction, cookies are a necessary part of my life. No matter how I’m feeling, a cookie is always a good thing. 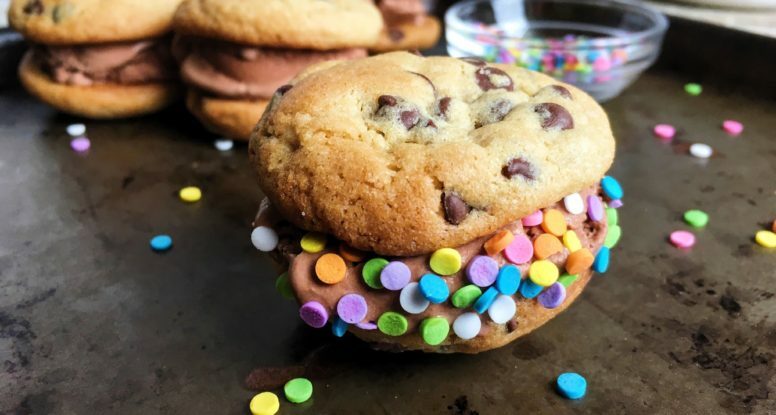 And a cookie with extra chocolate in it is an even better thing – helllllloooo Rainbow Chocolate Chip Cookies! Here’s what I know, you either love Valentine’s Day or you don’t. Here’s what else I know, no matter how you feel about Valentine’s Day, you’ll never turn down a fun little heart-shaped sugar cookie, right? 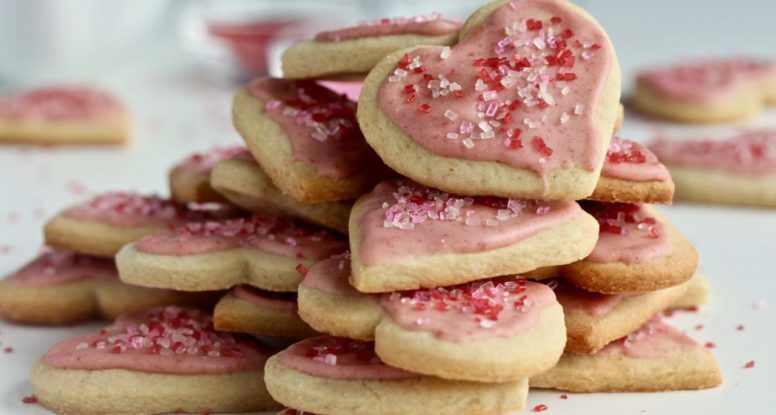 I also know that if you happen to be a 4 year old, there’s no question about it, you absolutely love Valentine’s Day and you absolutely love cookies, any cookie… “GIVE ME A COOKIE!” is a phrase constantly running in the background in their minds. Besides waffles, I love cookies. But, I digress. 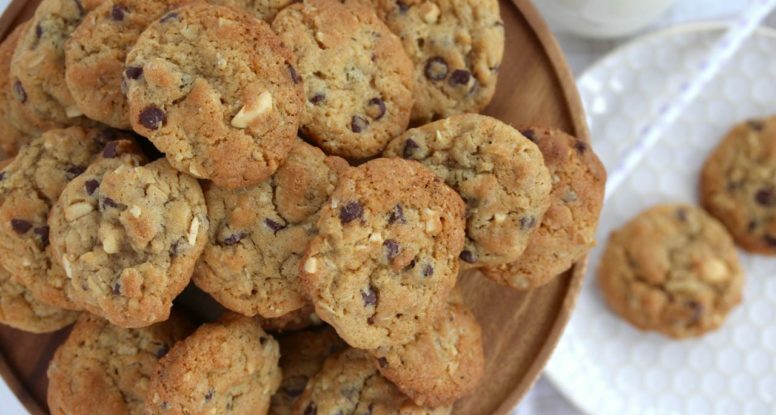 My point is, besides tasting awesome, there’s just something special about a good cookie. It evokes happy childhood memories and can make a day that wasn’t so great, pretty awesome. 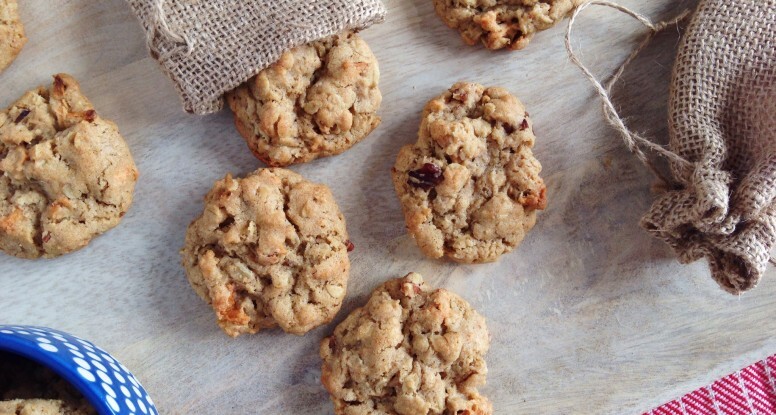 While my heart belongs to the chocolate chip cookie, I also have a big place in my heart for the oatmeal cookie. Oatmeal and chocolate is actually a favorite of mine too, go figure. 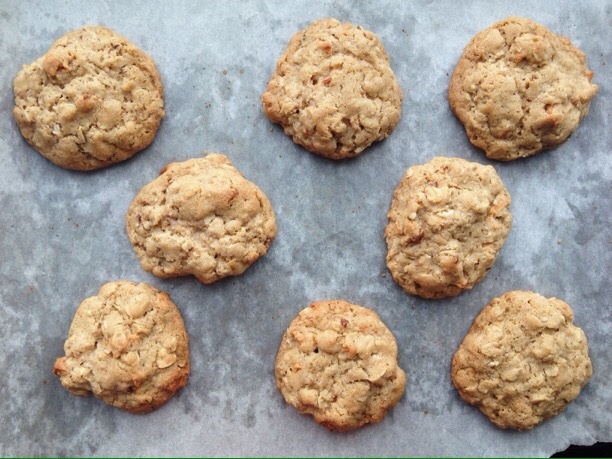 But, because a certain someone in New York said she needed an oatmeal cookie recipe, I wanted to be creative and “think outside the box” with this recipe. 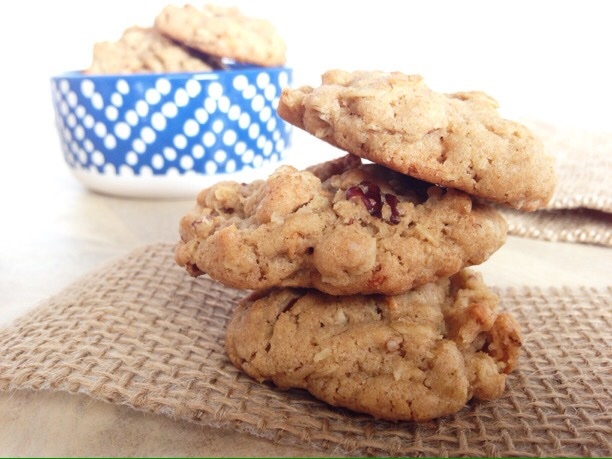 It didn’t take long for me to come up with Cinnamon Apple Oatmeal Cookies. No chocolate, but still so delicious. 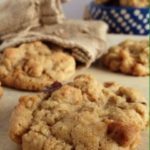 Are cookies a health food? Oh no, no they’re not. But here’s the deal. Cookies exist because of that special-ness I mentioned above. So, you must enjoy them on occasion. How can I say this as a dietitian? Well, because I am a real person. I know that we all need to treat ourselves and I know that we can do it in a way that won’t destroy all of the other good things we’ve done to nourish our bodies. So, here’s the deal. 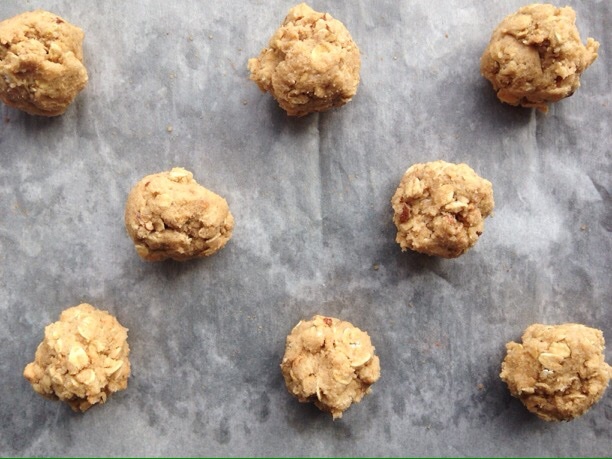 Use some whole wheat flour, get rid of some of the sugar and keep the portion small. 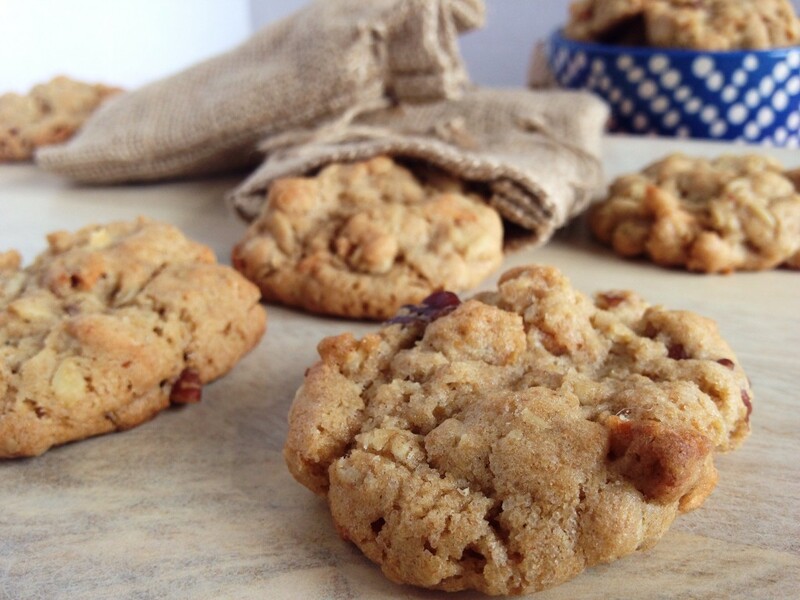 Now treat yourself by making and enjoying these Cinnamon Apple Oatmeal Cookies! 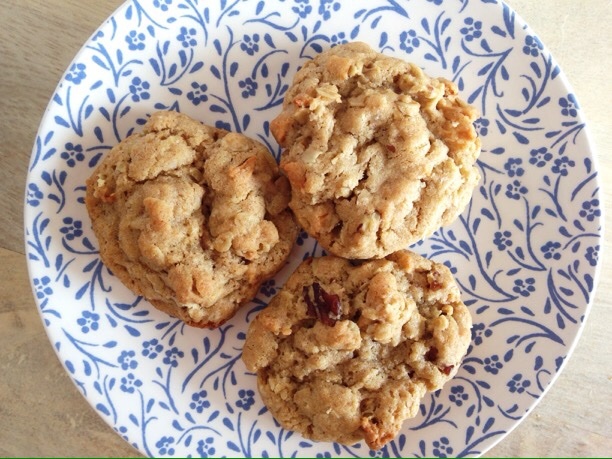 A classic oatmeal cookie made with dried apples and plenty of cinnamon. Preheat the oven to 350’F and line cookie sheets with parchment paper. 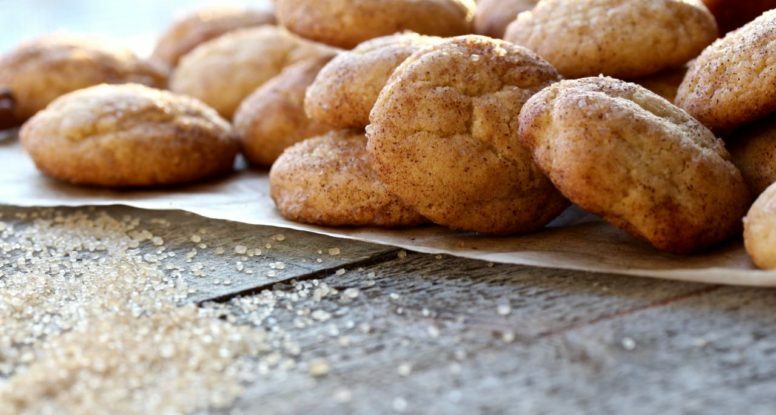 In medium bowl, whisk together the flours, baking soda, baking powder, cinnamon and salt. 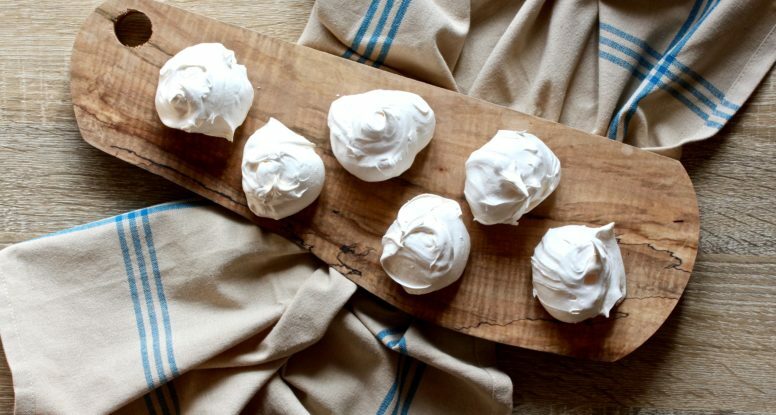 In the bowl of a stand mixer, using the paddle attachment, whip the butter until creamy, about 2-3 minutes. Scrape down the sides of the bowl and add the granulated sugar and the brown sugar. Blend about 1-2 minutes. Add the egg and vanilla and mix until combined, about 20 seconds. Scrape down the sides of the bowl again, then add the flour mixture. Blend on low speed until just combined. Add the apple, oats and pecans and mix until just combined. Drop dough by the rounded spoonful (about 20 grams per cookie) on the prepared cookie sheets, a couple of inches apart from each other. Bake for 10-12 minutes or until golden. Allow to cool slightly on the pan before moving to a rack to cool.